I’m not kidding when I say that crop flare jeans will be the jeans you start to pair with every outfit. Let the haters question if you even own another pair of pants. At Madewell this past weekend I was just looking around at every single shirt and putting together outfits in my head with my crop flare jeans. They’re comfortable, so easy to style, and can easily transition you from winter to spring. You’ll feel so street-style. You can even take the day to night for a cute and casual outfit for dinner or date! 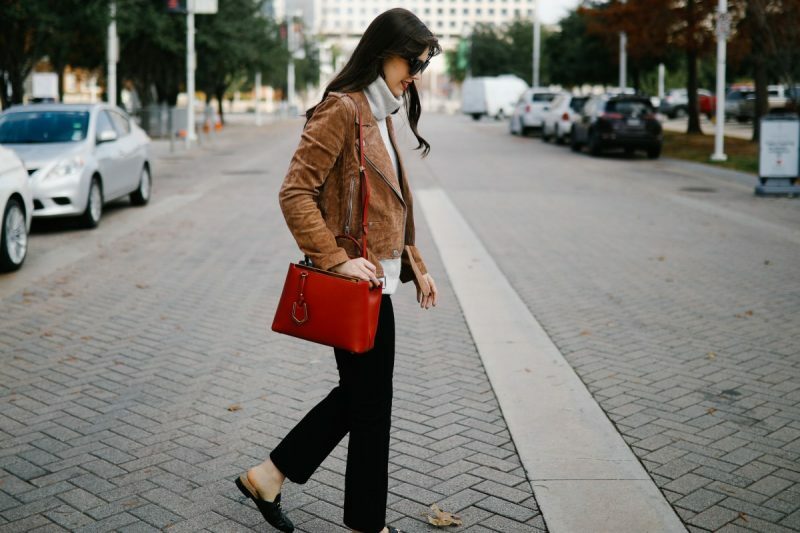 Definitely consider wearing them with a pair of booties (this heel height is perfect) on colder days or slide-on mules when the temps are warmer. These Gucci loafer dupes from Free People are the BEST and available in lots of colors – run don’t walk to get a pair. 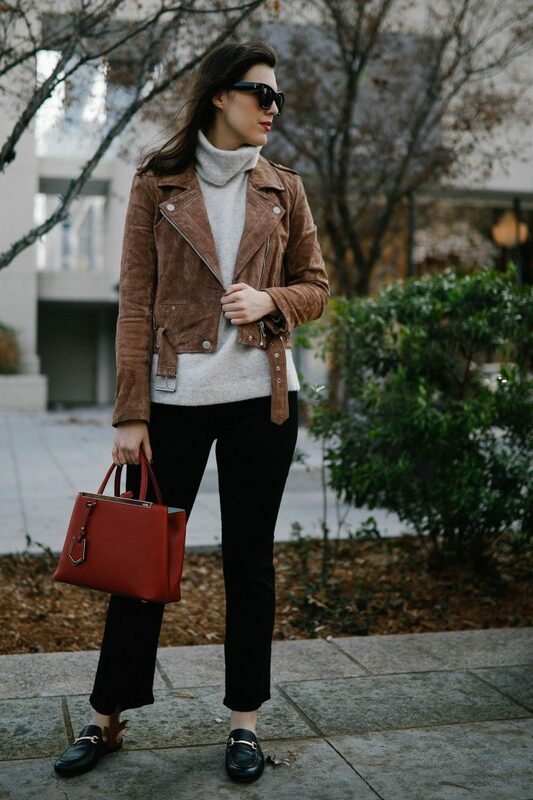 This look with the turtleneck and suede moto jacket was so comfortable and easy to wear all day long running errands, doing work, etc. Also consider pairing them with a white button down with a sleeveless knit sweater over it or even a long cardigan. If you’re into it, grab a pair of high waisted crop flare jeans and pair them with a bodysuit underneath and a concho belt to get a really edgy look! Have you been wearing crop flare jeans lately or wanting to? How are you styling them? Let me know in the comments! If you’re looking for more winter outfit inspiration – head here to see my latest outfit posts!